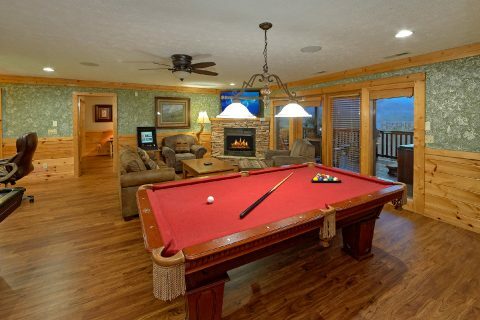 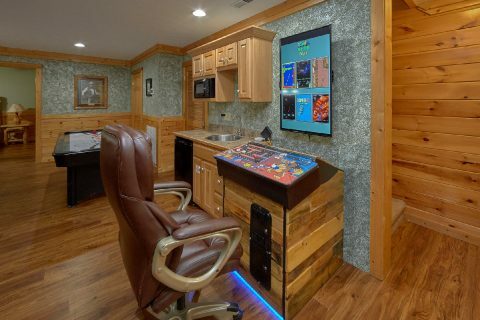 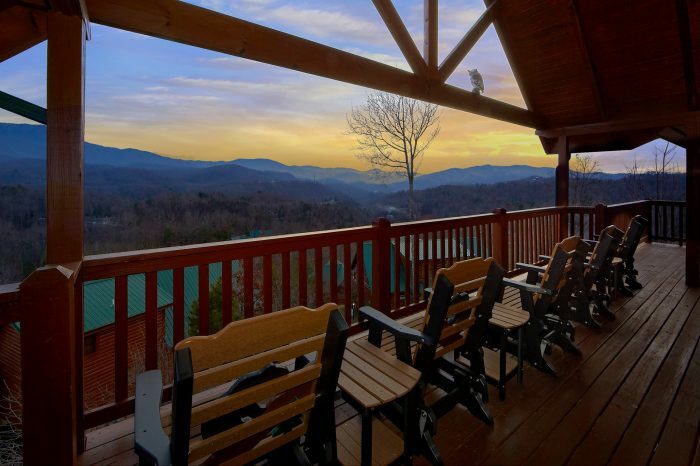 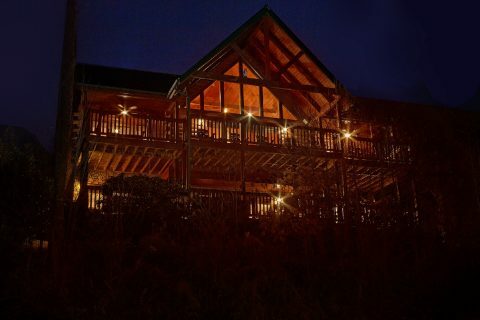 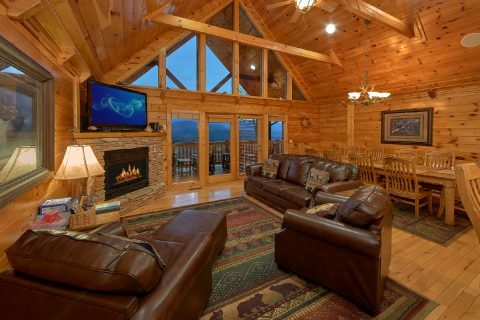 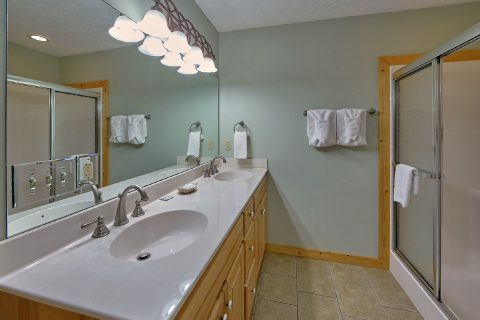 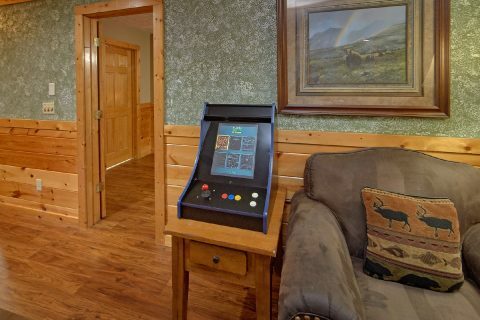 "Majestic Point Lodge" offers vacationers a group cabin with mountain views near Pigeon Forge that sleeps 14, offers resort pool access, and features a game room. 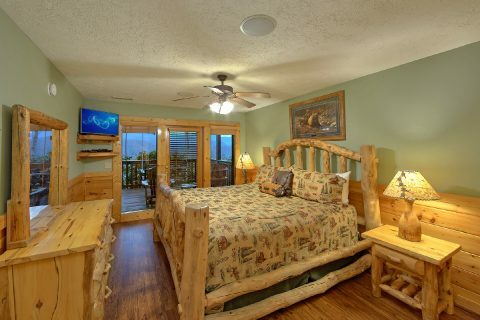 With rustic luxury and a scenic location, you and your family can enjoy a vacation to remember. 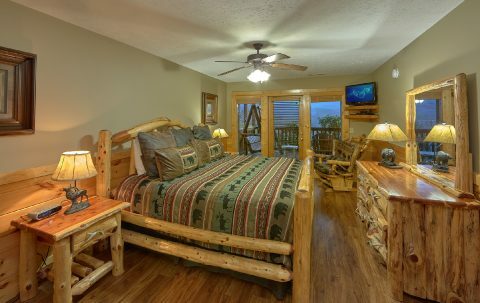 Located just off Glades Road, your cabin is tucked away in one of the most scenic sections of the Smoky Mountains. 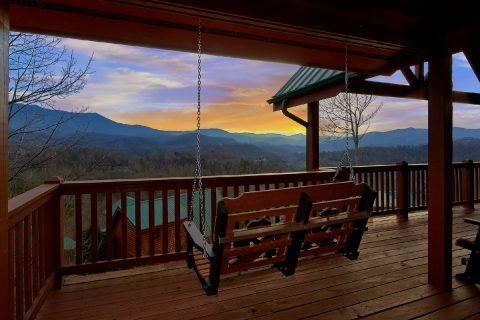 Here you'll find one of the largest communities of independent artists and craftsmen in the country, who make a variety of Smoky Mountain crafts for you to bring make home. 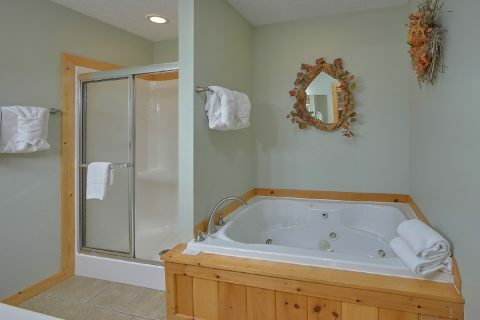 You'll find homemade soap, handmade pottery, handwoven linens, and more! 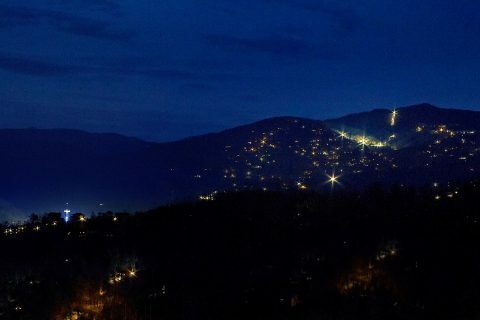 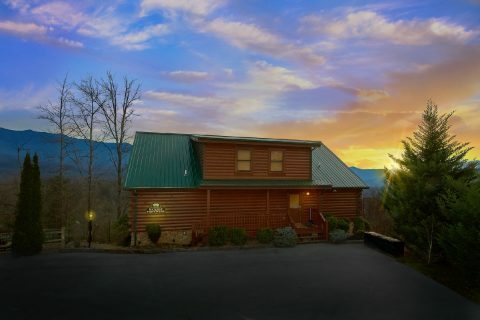 You'll also be close to Pigeon Forge and Gatlinburg for more vacation fun. 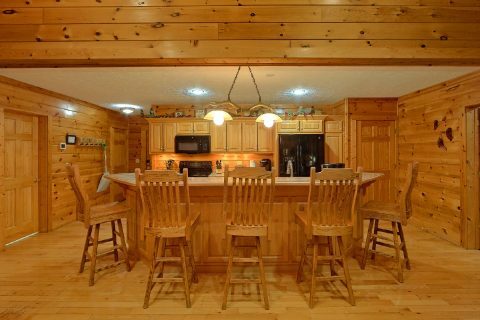 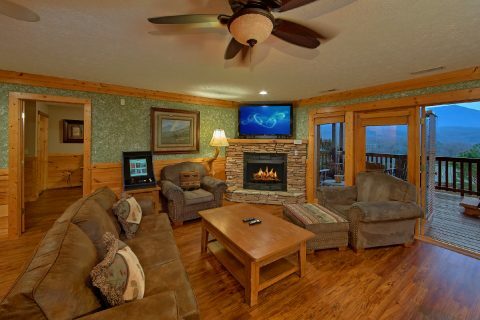 Your cabin's location also places you in a secluded, relaxing mountain setting within the Black Bear Falls Resort. You'll enjoy taking in scenic mountain views from your cabin's deck or while grilling at one of three charcoal park grills. 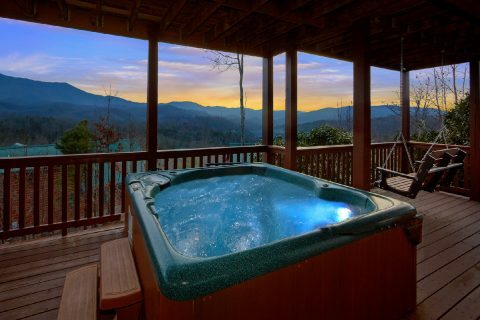 You can also take in the mountain peaks from your resort's pool on hot summer days. 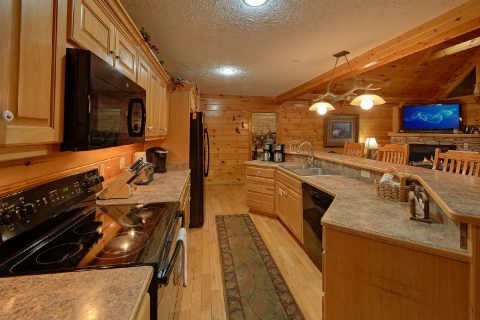 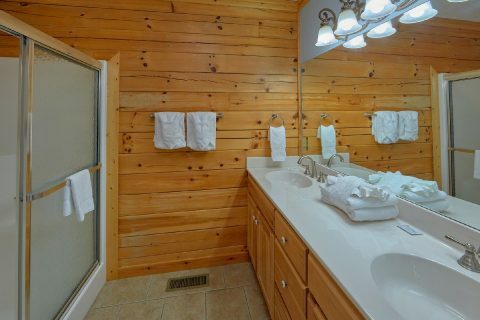 Inside your cabin, you'll find 2 king bedrooms, one with a jacuzzi tub, and a cozy living room with a stone fireplace and sleeper sofa on the main level. 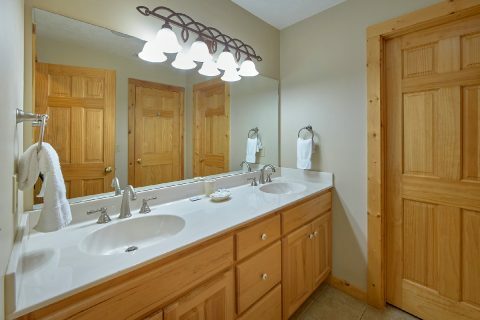 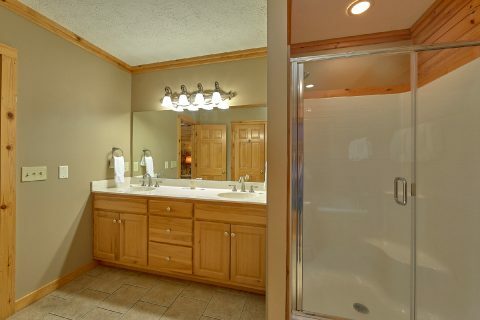 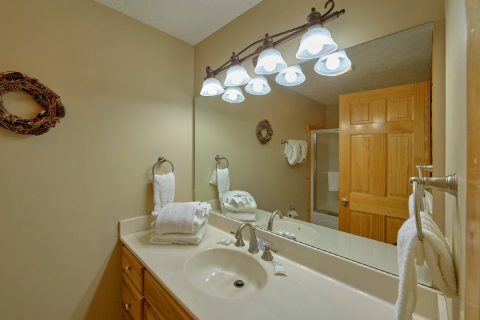 You'll also find a full bath that opens to the living room and a washer and dryer on this level. 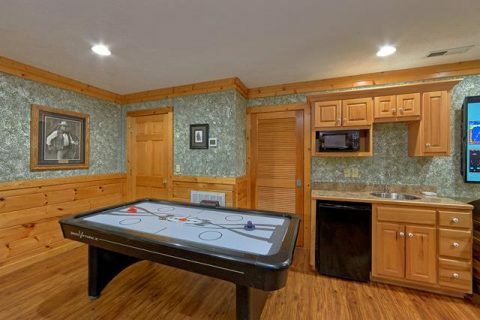 On the lower-level, you'll find a game room with a pool table and 2 arcade games. 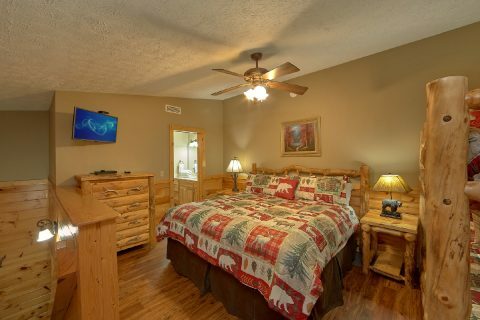 It also features an additional 2 king bedrooms that are perfect for unwinding after a long day of shopping. 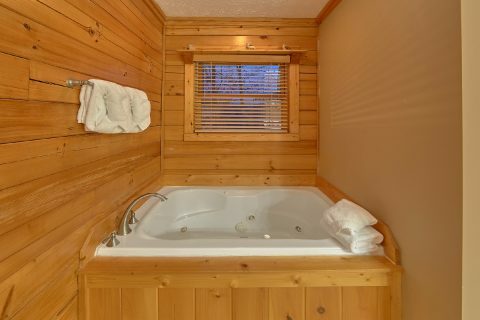 You'll find another jacuzzi tub in one of your king suites as well as an additional washer/dryer set on this floor as well. 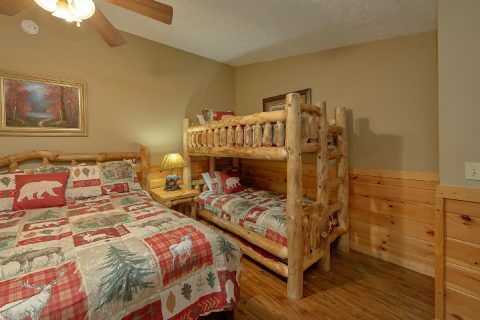 The upper floor features one king bedroom and twin bunk beds, allowing the cabin to sleep 14. 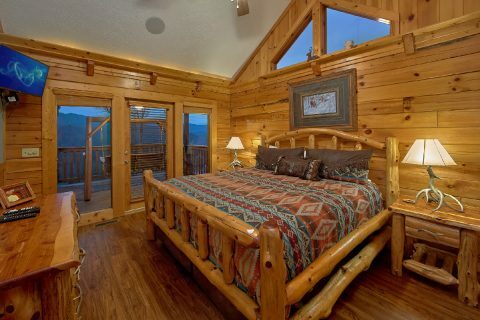 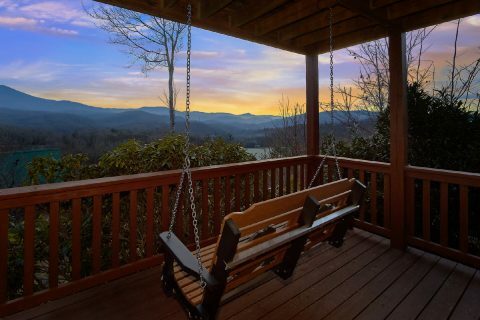 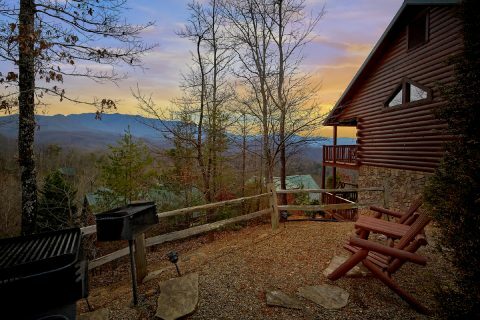 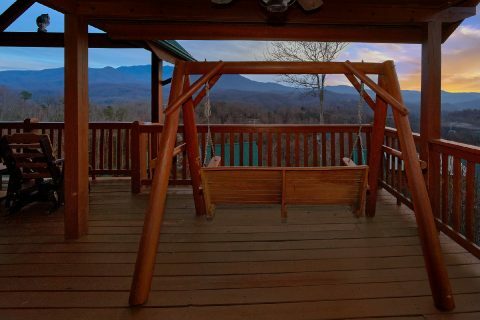 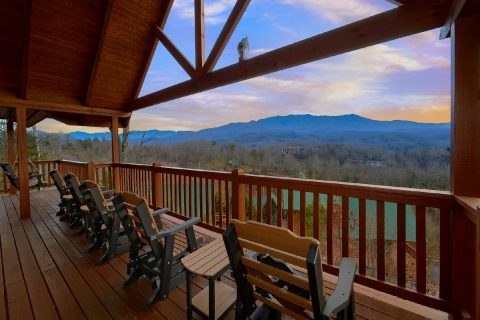 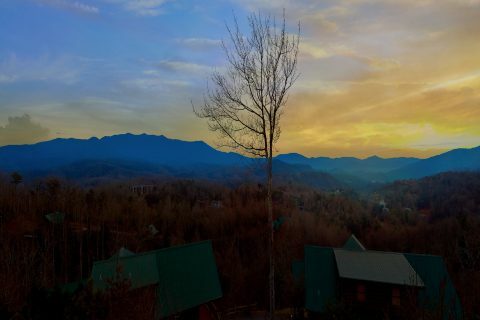 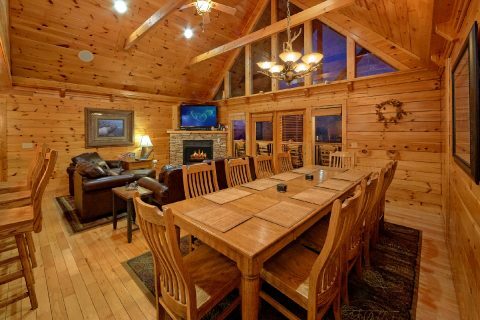 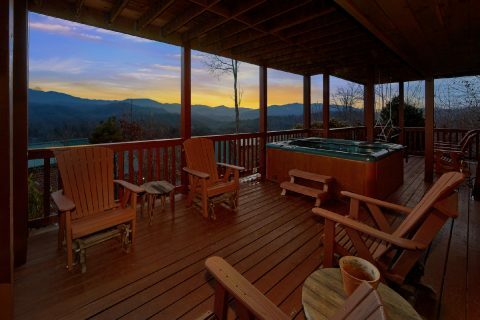 Enjoy a majestic vacation in the shadows of the Smokies at this cabin with a view near Pigeon Forge and the Glades Cove Arts and Crafts Community. 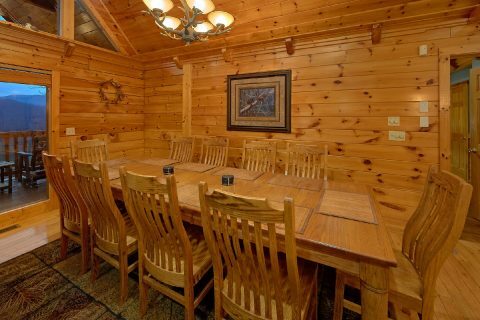 When you book online, you'll enjoy a 15% discount on your cabin stay!